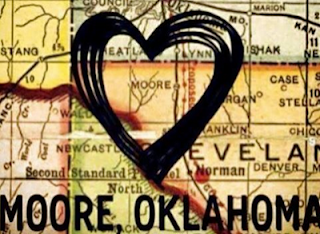 The mission trip to Oklahoma is scheduled July 8 - 17. The Diocese of Oklahoma asks that we bring no more than 15, and they would like to know in advance what skills/abilities we bring so they can make plans to use us to best advantage. These skills/abilities can range from manual labor to building trade skills to counseling/listening skills. A number of people are already signed up to go, but please let Bette know ASAP if you're interested. In addition, we are collecting good clothing, household items, toiletries, etc. Remember that many have lost everything. Please only give good things you would use yourself. All donated items will be collected at Grace Church near the end of June. The Diocese is collecting cash contributions and will issue one big check to the Bishop of Oklahoma. Another option if you want to give cash is to buy a gift card for the team to deliver.